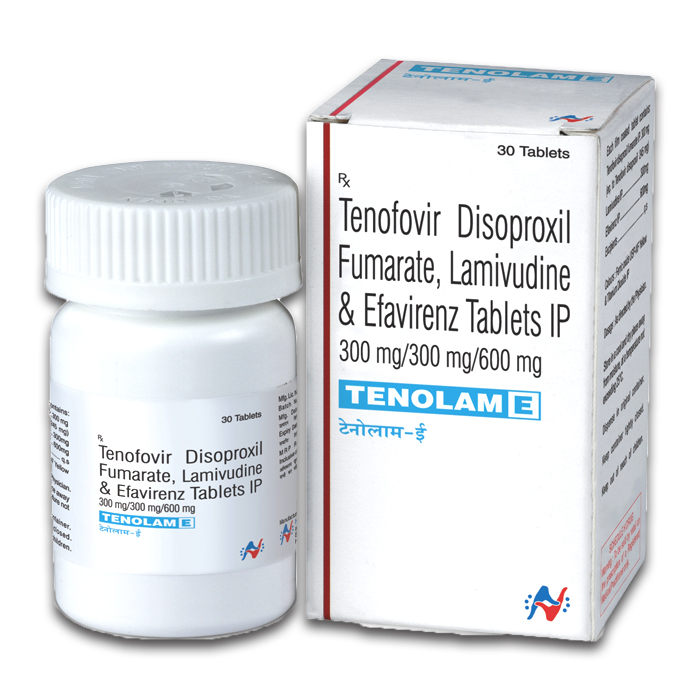 Tenolam-E contains Tenofovir disoproxil fumarate 300 mg, Lamivudine 300 mg and Efavirenz 600 mg tablets. This medicine prevents the virus from multiplying but does not cure HIV. Tenolam-E is a combination medicine used for the treatment of human immunodeficiency virus (HIV) infections.